PRESIDENT Muhammadu Buhari yesterday in the United States (U.S.) spoke on former President Olusegun Obasanjo’s January 23 “Special Statement”, which asked him not to seek reelection in 2019. The statement, the President said, was “abusive”. 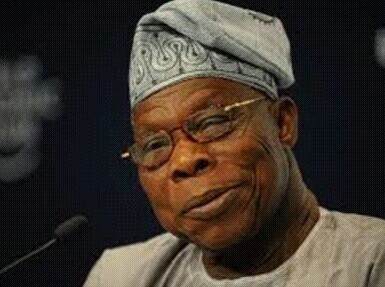 The statement generated heat across the country, with some analysts backing Obasanjo and others condemning him. The President spoke during an interview on the Hausa Service of the Voice of America (VOA) in Washington D.C. He is on a four-day visit to the U.S. The President said despite perceiving the letter as abusive, he refrained from replying in kind. Rather, he said, he authorised that the government’s reaction should be to tell the country what it has achieved. In his statement titled: The way out: A clarion call for Coalition of Nigeria Movement, Obasanjo accused the President of nepotism, having a poor understanding of politics and engaging in blame games rather than accepting responsibility for his failure. 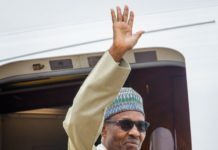 The statement read: “Whatever may be the state of President Buhari’s health today, he should neither overpush his luck nor over-tax the patience and tolerance of Nigerians for him, no matter what his self-serving, so-called advisers, who would claim that they love him more than God loves him and that without him, there would be no Nigeria say. On VOA yesterday, the President said he had ordered the recruitment of 6,000 policemen to boost security in the country. But he said he feared that states might not be able to fund their own police, which many governors and others are pushing for. He urged Nigerians to abide by constitutional provisions on the matter. 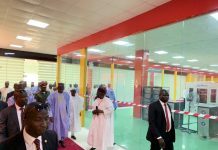 Chairman and Zamfara State Governor Abdulaziz Yari said the creation of state police would help in addressing insecurity in the country. 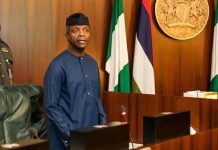 At the end of a summit organised by the Senate Ad hoc Committee on Review of Current Security Infrastructure in Nigeria, he said: “Today we have reiterated the position of Vice President Yemi Osinbajo. But, the creation of state police, the President said, would not augur well for the finances of the states, adding that some of them were finding it difficult to meet their financial obligations to workers and other needs. “We must carefully look at the position of the Constitution on the issue of state police before we take a final decision on the matter; if the Constitution allows state police , so be it. “But don’t forget that many times the Federal Government gave out what we referred to as ‘bail out’ to state governments for payment of workers’ salaries. How many states can pay salary promptly? And you want to add more financial burden to them. According to him, his statement on some Nigerian youths being lazy was quoted out of context. The President said he hardly listened to music. He said additional measures were being put in place to check insecurity. “We will put in place more measures to check insecurity in the country , including increasing the number of policemen and training them. 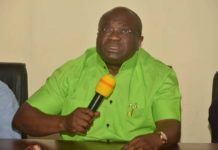 “I have approved the recruitment of 6,000 policemen by the police authorities and I directed that those recruited must come from all the 774 local government areas of the federation. “Even if it means recruiting one person each from the 774 local governments, they should do that instead of going to motor parks, railway stations or market for the recruitment. The President said the media only preferred to interpret and report what they liked about his comment on youths during the Commonwealth Business Session in London last month, instead of concentrating on developmental issues. 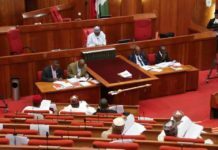 He said: “You know Nigeria’s population is now between 180 and 190 million and 60 per cent of this population are youths that are 30 years downward. “You know in the North most youths are uneducated or school dropouts. If not because we had good harvests in the last two farming seasons the situation would have deteriorated. “These youths even if they travel out of the North for greener pastures, they hardly make it economically because what they earn as income cannot afford them to meet their basic needs or return home. “For instance the nation’s achievements in the agricultural sector where millions of Nigerians benefited financially were left unreported by the media. The President debunked insinuations that Christians were being killed by herdsmen. He said clashes between farmers and herdsmen had been on for the past years, adding that herdsmen were not in the habit of carrying dangerous weapons while moving their animals around the country. On what he does during his leisure time, he said he hardly listened to music but rather always obeyed his doctors’ advice on the need to eat and take enough rest.